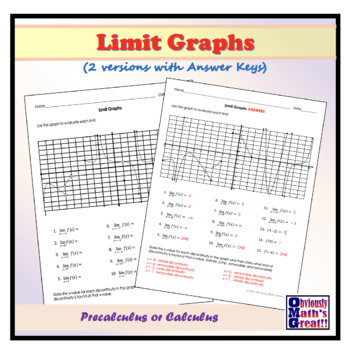 This quiz is designed to assess students’ understandings of finding limits from a given complex graph. 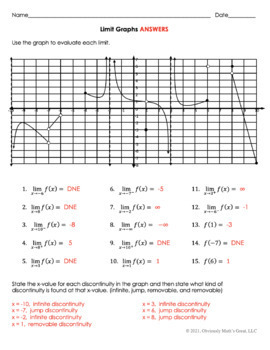 Students will also be asked to explain the various discontinuities in the graph. 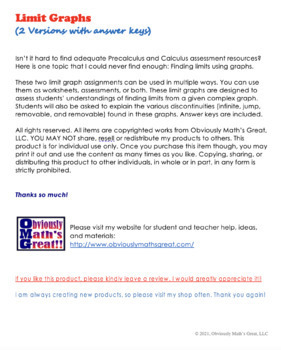 There are two versions of the quiz with answers keys included. 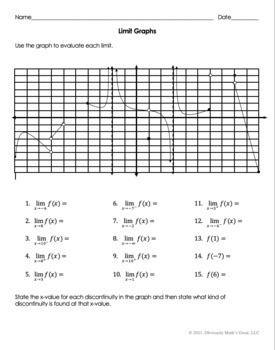 The graph can also be altered to suite your needs. The file is a Microsoft® Word document so that you have the ability to edit it.